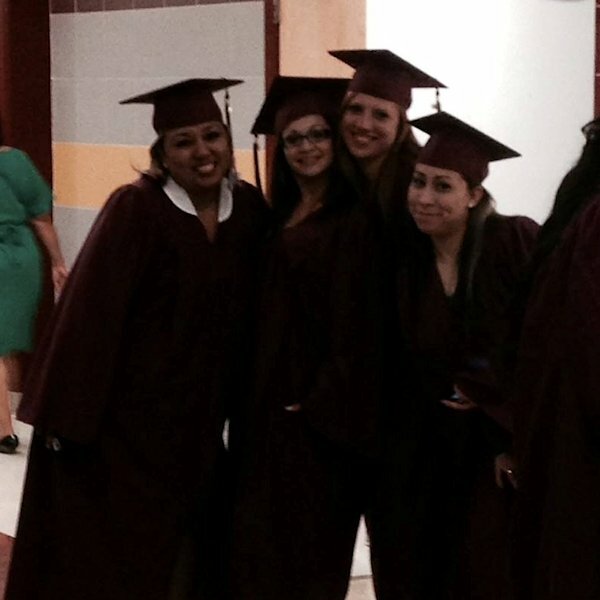 $2,000 On Time Graduation Reward! 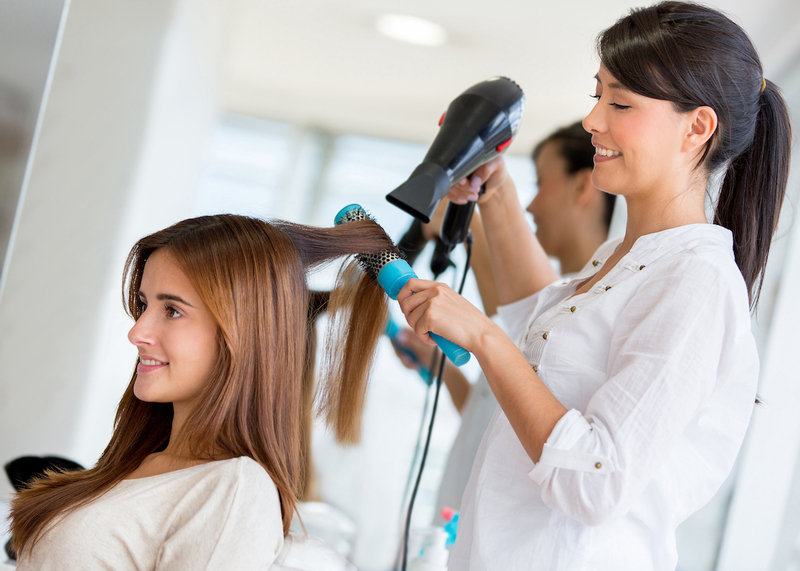 Your passion to make people look beautiful can be converted into a rewarding career as a Hair Stylist. 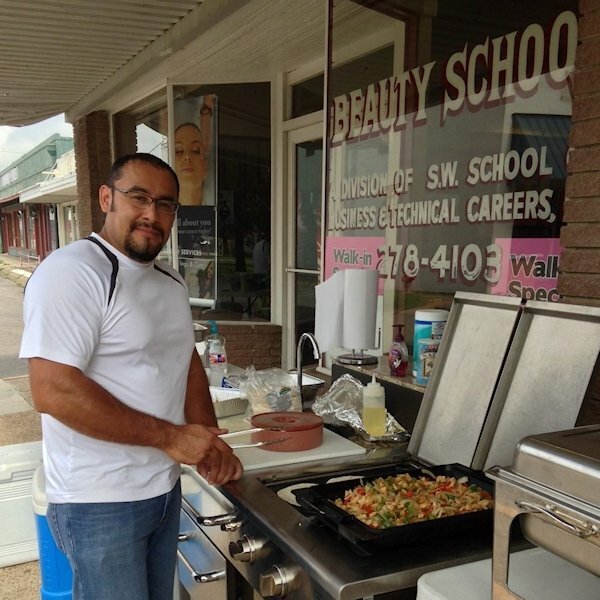 According to the U.S. Bureau of Labor Statistics, over 44 percent of all personal appearance workers are self-employed. 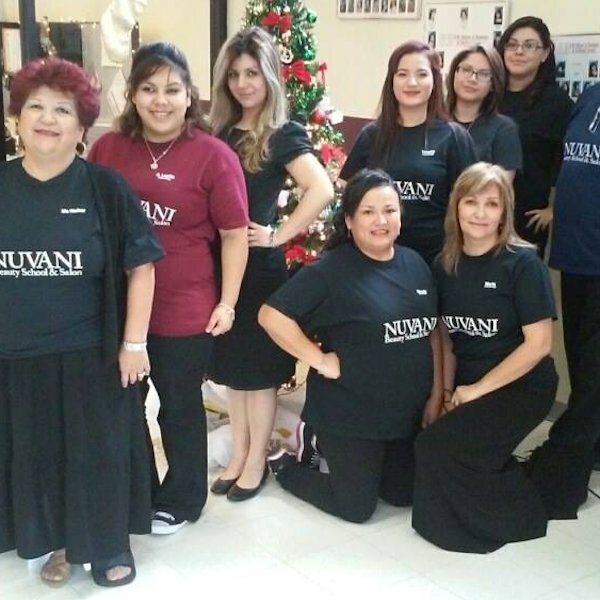 Nuvani Institute's Cosmetology Operator Program provides all of our students with a strong foundation in all the skills required for future specializations in the beauty industry. 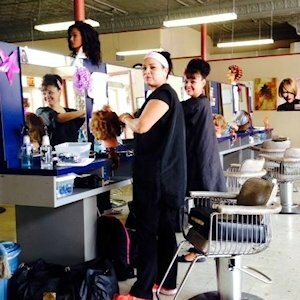 You will learn all the essential skills you need to get you hired at a salon, and to get your exciting new career underway. 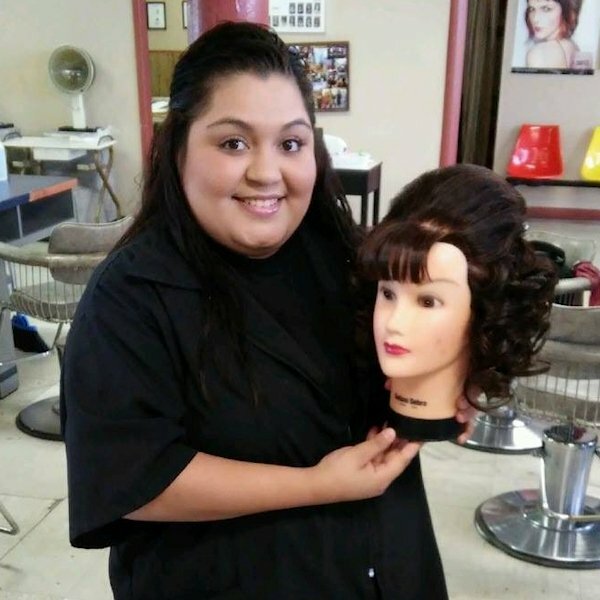 After graduating from our Cosmetology Operator Program, you are ready to take your state cosmetology licensing exam so you can become a fully-fledged cosmetologist. 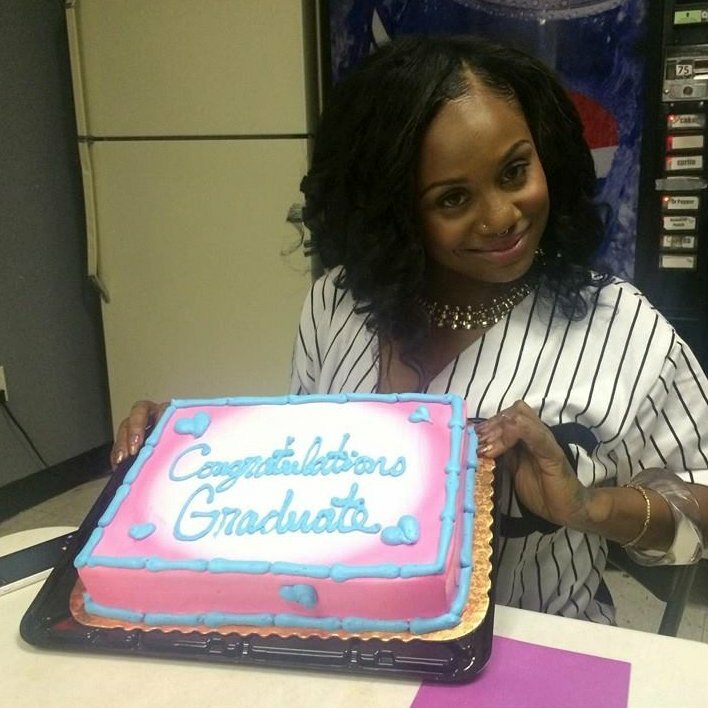 And from there, you’re well on your way up to a bright new future in the beauty industry. 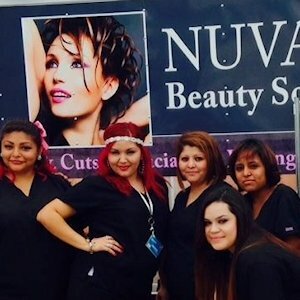 The objective of the Cosmetology Operator program is to provide the student with the necessary skills to perform all of the services normally associated with cosmetology, including hair styling, hair coloring, manicuring, facials, and shampooing in order to meet the requirements of the State of Texas Department of Licensing & Regulation and pass the examination, both written and practical, administered prior to issuing a license to perform cosmetology services. 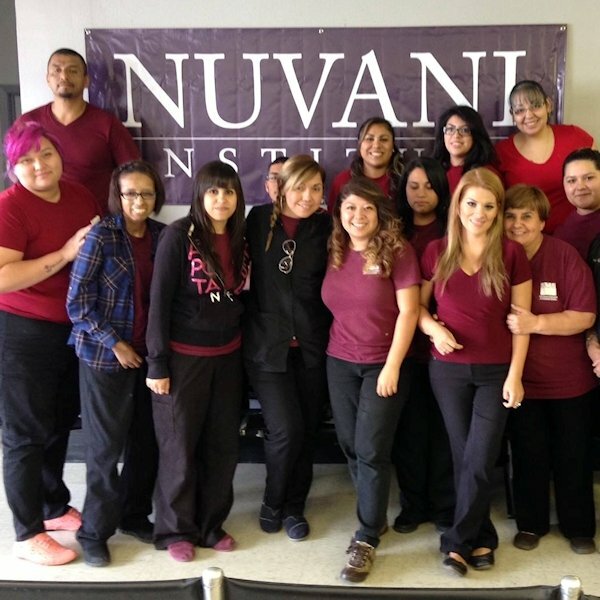 At Nuvani Institute, you gain theoretical as well as practical knowledge on hair styling. 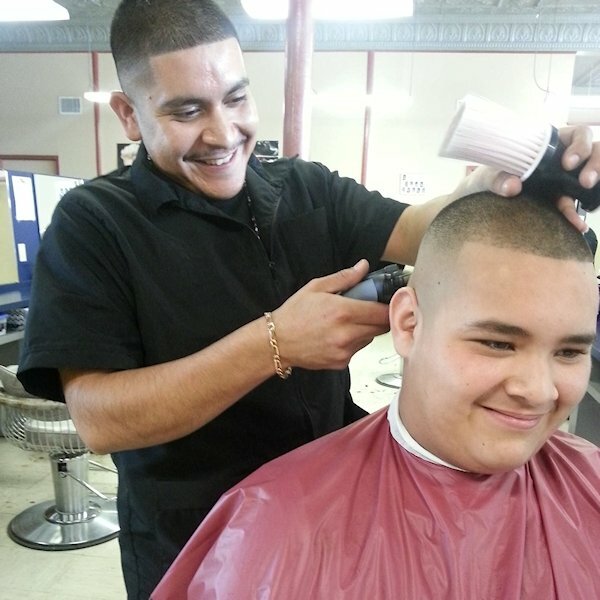 You will develop an understanding about the equipment used by a hair dresser like combs, brushes, hail clippers and rollers, hair spray, dryers and much more. 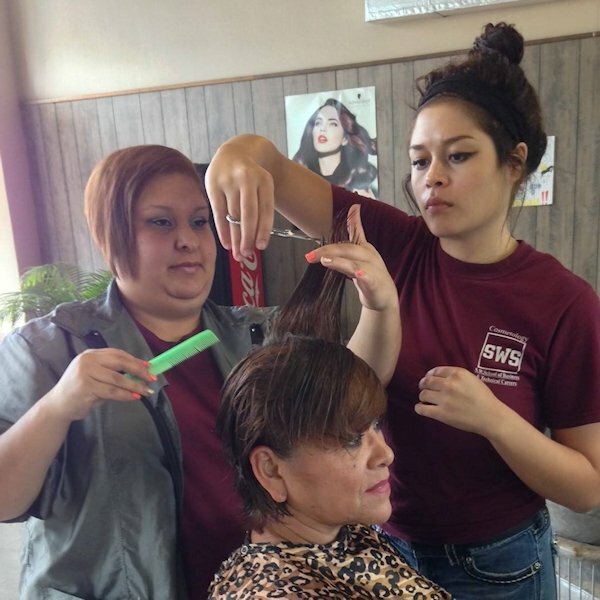 Training also includes steps to be followed by a hair dresser when undertaking shampoos, scalp massage and hair straightening. 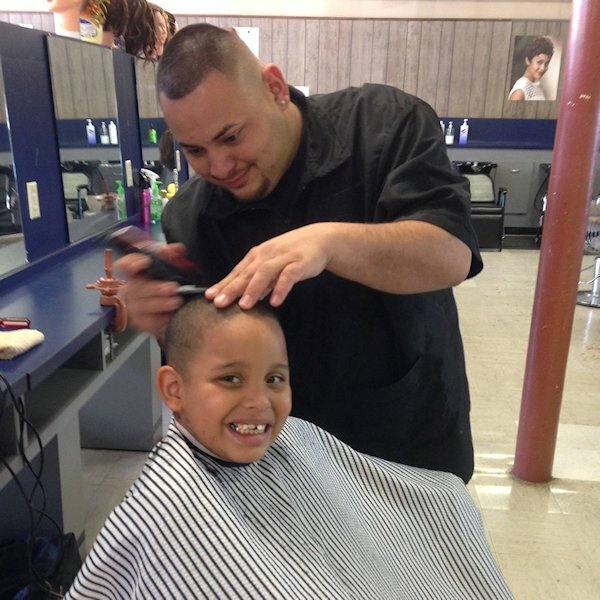 Hair stylist is a confidant whose suggestions and guidance is always sought to choose an appropriate beauty treatment. 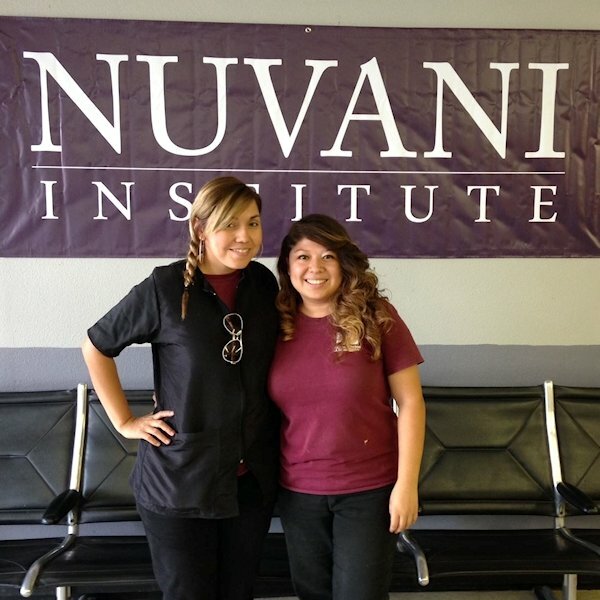 When you train at Nuvani Beauty Schools and Salon, you develop an art of understanding and managing your clients better. 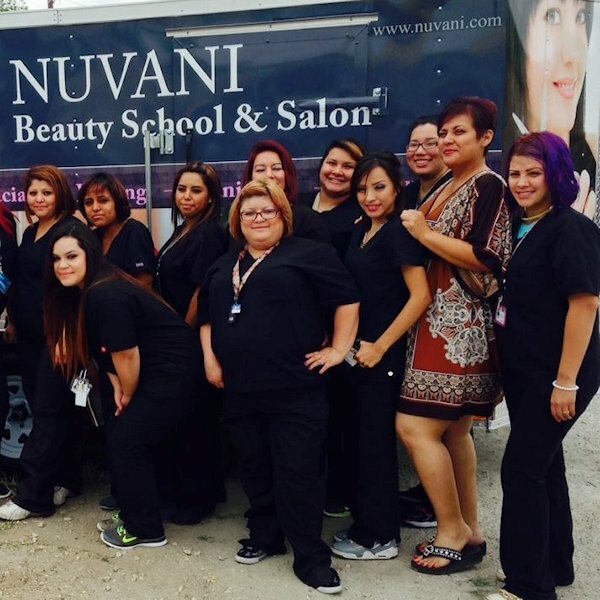 Students will be introduced to the art and science of cosmetology and the evolvement to today’s state-of-the-art knowledge and procedures along with Texas Department of Licensing and Regulation General Rules and Regulations. 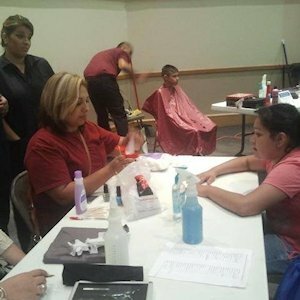 Students learn shampoo techniques, salon procedures, scalp and neck physiology, the chemistry of shampoo and conditioners, sanitation and safety practices, and performance skills. 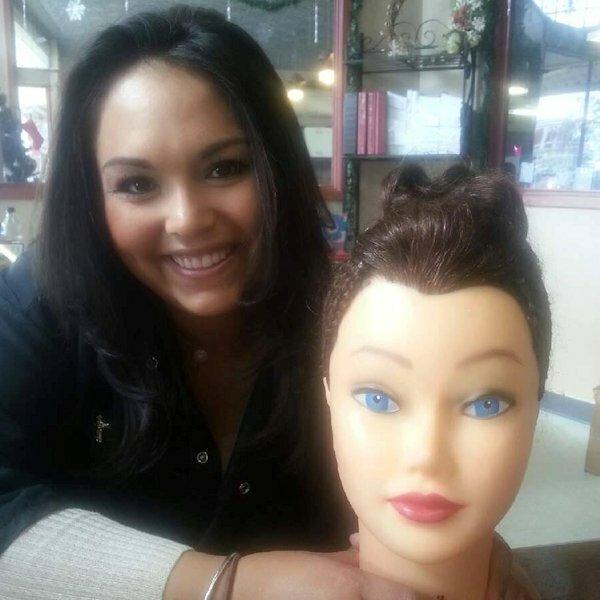 Students develop an understanding of identifying normal and abnormal hair, scalp conditions and techniques required for correction. 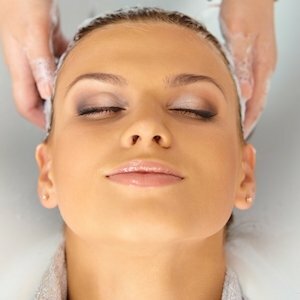 Some of the more common hair and scalp disorders are covered as part of the course. 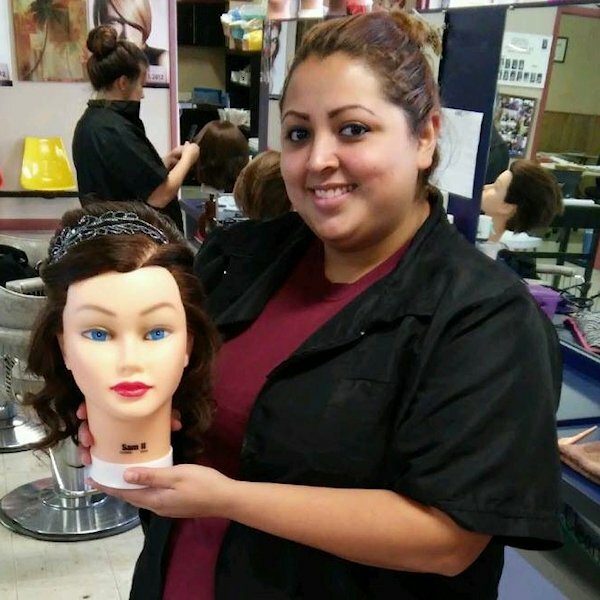 Students learn scalp and hair analysis techniques, as well as importance of testing curls to facilitate judging of process time. Presentation on chemical products used in waving, hair texture, density, and techniques for wrapping is given. 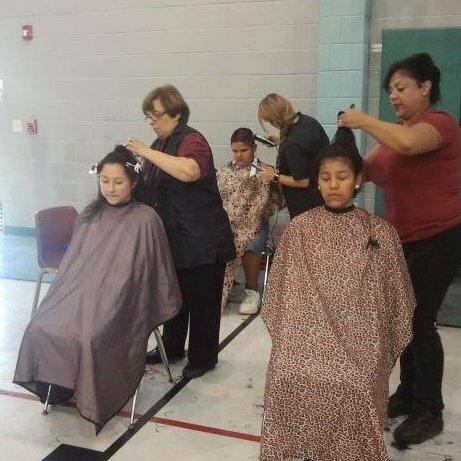 Students learn basic steps involved in chemical hair relaxing and the difference between ammonium thiogkycolate and sodium hydroxide relaxer, as well as the techniques employed in application and safety precautions to be observed. 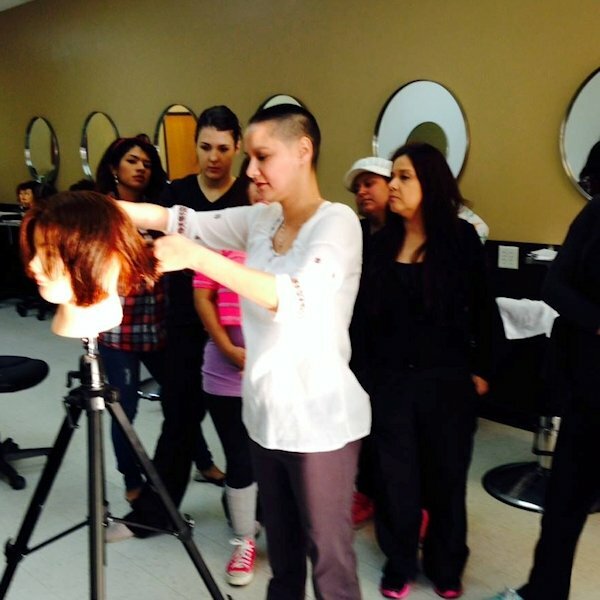 Students learn the principles of chemical hair coloring, classification, and their activity on hair. The chemistry of colors, and the procedures to complete temporary coloring, semi-permanent coloring, bleaching, frosting, streaking, and correction work. 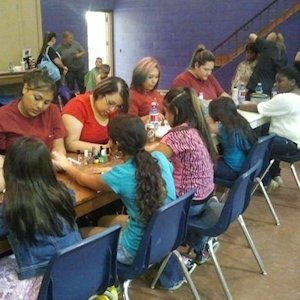 Students understand the purpose of manicures, understanding of bacteriology, sterilization, sanitation, immunity, and human disease carriers is covered. 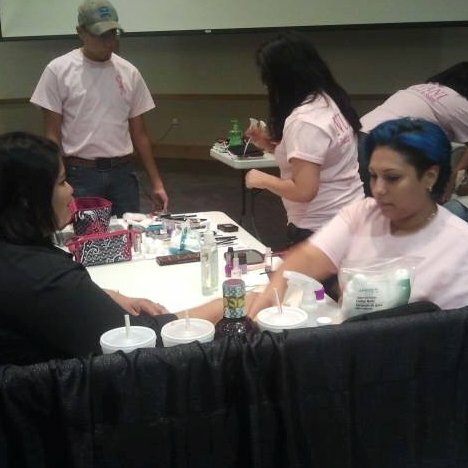 A presentation is given on anatomy of the hand and feet and the equipment, implements, cosmetics, supplies and materials used in giving manicures and pedicures. 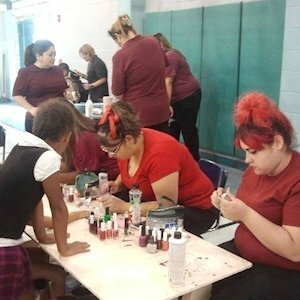 Proper techniques for accomplishing manicures are taught, including sculptured and artificial nail services, oil treatments, and recognition of nail disorders are taught. 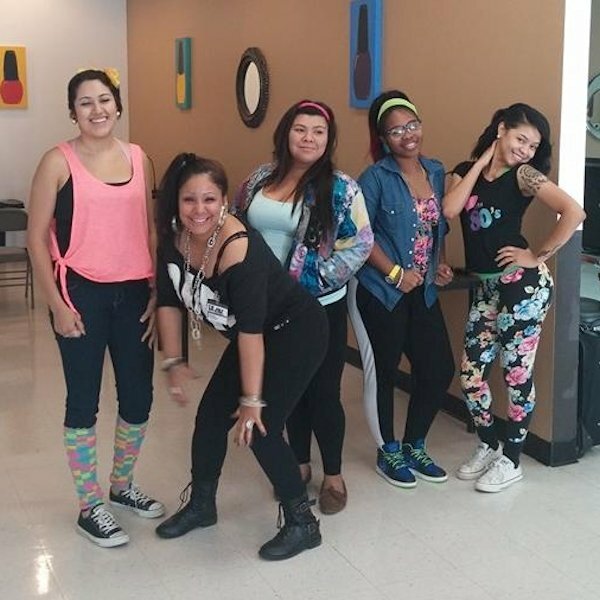 Students are taught facial services, including skin preservation and corrective action, face and neck anatomy and physiology, face and neck massages, chemical and electronic treatments, and safety and sanitation is covered. 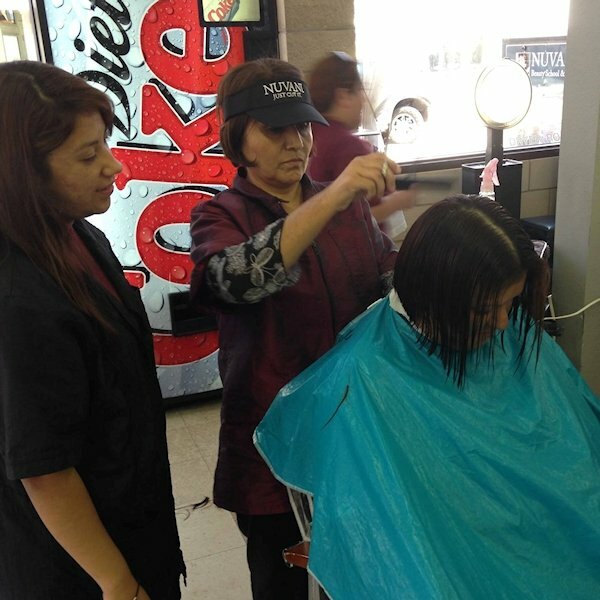 Students understand haircutting principles and are demonstrated the techniques of sectioning, removing length or bulk with razor, scissors, clippers, and/or shears. 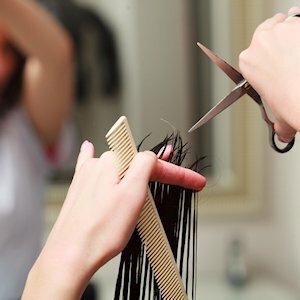 The art of hair styling is taught, primarily by demonstrating hair parting, the removing of tangles, proper brushing, and settings. Proper curl placement, use of pin curls is demonstrated to achieve desired result. The technique of using various kinds of rollers is discussed, along with the reasons for backcombing and back brushing is illustrated. 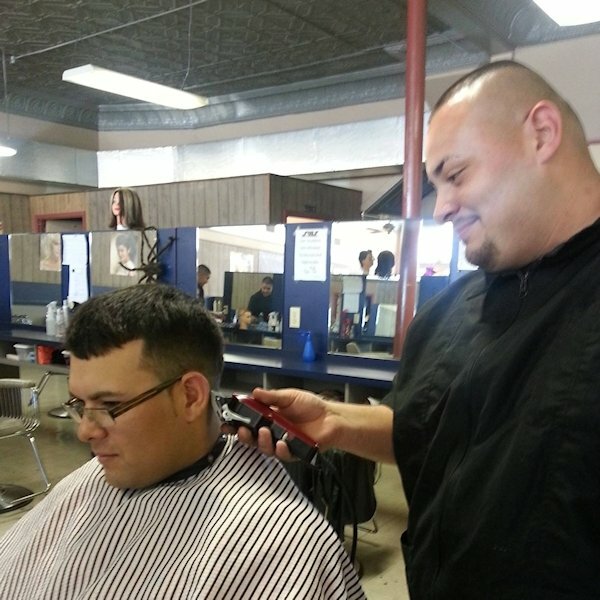 Extensive training on hair cutting, thinning, and shaping is given, using both scissors and razor techniques. The student will learn the chemical composition of elements, compounds and mixtures as well as the basic chemistry, types, and action of professional products. 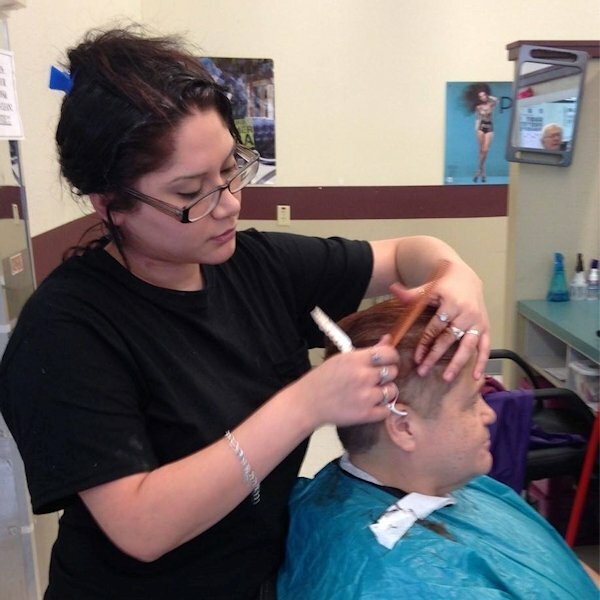 Students learn the fundamentals of business management, opening a salon, licensing requirements and regulations, laws, salon operations, policies, practices, advertising, sales, public/human relations, insurance, and salon safety. The student must complete a total of 1,500 clock hours, must be able to complete within 150% of the published length of the program, and have satisfactory progress in both academic, as well as, practical training. The student must maintain an average of at least 70% on both academic and clinical work.